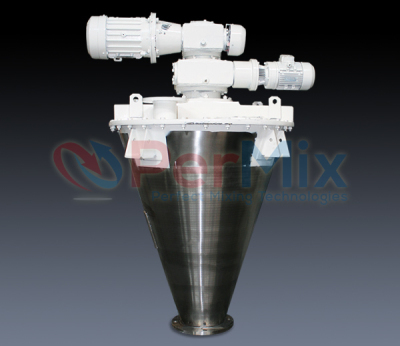 The PerMix PNA series Conical Screw Mixer is a batch mixing equipment used widely in applications that require gentle mixing and minimal heat generation without any product distortion. Because no seals or bearings are exposed in product zone, there is no risk of lubricant contamination. 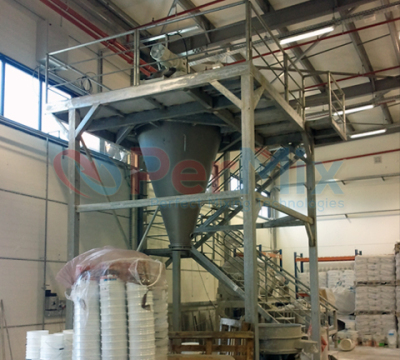 The PerMix PNA series Conical Screw Mixers is featured by its very low energy consumption, low maintenance cost, but high performance of mixing. 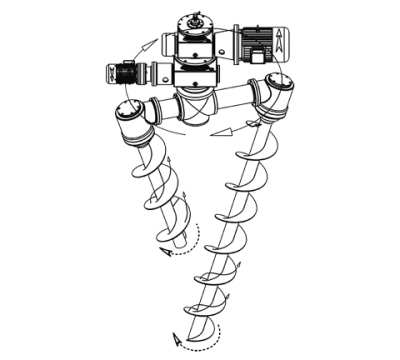 A spiral screw (or two, three screws according to specified application) inside of a PerMix PNA series Conical Screw Mixer rotates by its own axle parallel and near the wall of the cone vessel. It lifts the powders around it from bottom to the top, and then the powder falls down due to the gravity. At the same time, the spiral screw rotates around the center of the cone like a planetary, so that the powders in every corner of the cone can be mixed by the screw. We offer single screw, double screw and triple screw to give different mixing intensity. 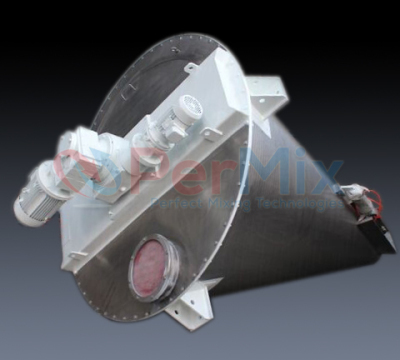 We are able to offer our PVR Conical Screw Mixers with contact part to be built in Carbon steel, SS304, SS316/316L, Titanium, Duplex stainless steel, Hastelloy, etc. Finish of internal and external finish can be dull polished, 180 grit polished (food grade), or mirror polished. For abrasive materials we offer hardened steel as the contact part. A variety of feeding & discharging methods available. The PNA Conical Screw Mixer can be designed for vacuum drying & deaerating or for inner pressure working for special applications.